Why I Can’t Hear People On Skype? If you have problems with the sound in Skype, and you can’t hear the person you are talking to, then this article is for you. You will see some steps you can take in order to find and eliminate the problem. First you need to find out if have any sound at all, or if you just can’t hear people on Skype. Try with a song or a movie for example. If you do not have any sound at all, it is possible that your speakers/headphones are damaged, turned off or not plugged in properly. It is also possible that you do not have an audio driver installed on your computer or the sound is muted or turned down from your Windows settings or from the button on the actual speakers. If your computer has sound and you still have problems hearing people on Skype, then the next step is to check if Skype can create any sound. Open Skype and sign in with your name and password. Now go to the menu Tools -> Options -> Audio Settings. Here we have a small green button located to the right of the Speakers settings. Click it. Did you hear any sound? If yes, everything should be OK. 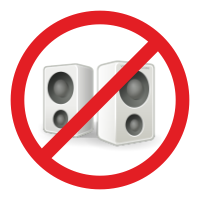 If not, then check the slider where it says Volume (the one below Speakers). It is best to be to the far right. Slide it there and try again. If you still don’t hear anything click on the drop down menu to the right of Speakers and choose another audio device. Try with all of them (if there is more than one) and see if one of them will produce any sound. If you managed to hear a sound in this step, then save the settings and you are done. If you still don’t have any sound in Skype, you can make a Skype test call. Did you hear the instructions you are getting during the call? Did you also hear your voice after you recorded it? If yes, then there is no problem at your end. If you hear the instructions but not your voice after you recorded it, then you have a microphone problem and the speakers/headphones are fine. 2. Try to find an answer to your question first by searching the Knowledge Base. 6. Fill out the form with as much information as possible and click the “Send Support Request” button at the end. I think hd cards works better than non hd. Hi. If you hear the instructions in a test call then your end is OK. The other persons microphone could be muted or turned down or not working. Do you hear the test call? And how many contacts are you not hearing? One or several? then it should be working fine. Well, did not work for me. My brother said “I can hear u”. I can’t hear him. We are so mad trying to fix it. One day we found out we had different versions. If that does not work try going back a version. Hi. Thanks for the comment. Please try to use some sentences next time. I edited the comment this time. Usually you don’t need to have the same versions, but it is possible for some errors to occur sometimes. Hi. I’m glad it helped you :). I have a very strange situation along these lines – I have one friend – only one – who I cannot hear when she calls me on skype but she CAN hear me. Everyone else who I speak to on skype is perfectly fine! She and I have both done run-throughs, test calls, and all the other things listed yet still I can’t hear her though she can hear me. Her system is working. My system is working. What do you think is forcing our separation and far more importantly HOW CAN WE FIX IT?! If other people can hear you and you can’t hear her, then it could be because of different Skype versions. Try both using the same version (the most recent one is recommended). Hi. Is this with all people you call or only one person? Is the test call good? When did that happen, did you changed something on your computers software or hardware?